When you're on your feet all day, a pair of shoes that fit well can make all difference for your productivity and morale. Blisters, bruises, and sore arches resulting from poor fit can and will disrupt your work and mindset. Finding shoes that fit may seem basic, but there are a few common mistakes that can cause issues with comfort and ultimately safety. As you’re implementing a Boot and Shoe Program in your workplace, take the time to get the right boots for each of your workers. For the lucky few with a neutral foot shape, congrats! Most boots and shoes should fit and support your foot with no issues. If you notice that your shoes and boots show more wear towards the inner edges, you may have flat feet, also called pronation. Flat feet tend to be more flexible and not quite as stable, so heavier footwear with more support is a good option. More wear and tear on the outside edges of your shoes? 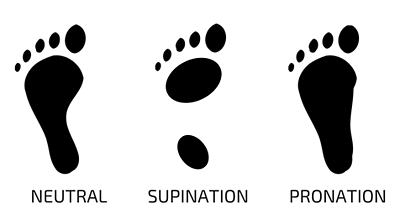 You likely have high arches, also called supination. High arches cause the foot to be less flexible and shock absorbent, so boots and shoes with additional cushioning may keep you more comfortable and reduce the risk of injury. When buying workplace footwear, especially steel toe boots and shoes, proper fit is very important. Your boots should fit snugly, but your toes should be able to move comfortably inside the toe box without rubbing or feeling squeezed. Many people make the mistake of changing to a wider boot instead of trying a longer boot that gives their toes more space - resist this urge! If you’re having a hard time figuring out your fit problems you can get your feet measured. You may even find out that your feet are different sizes. 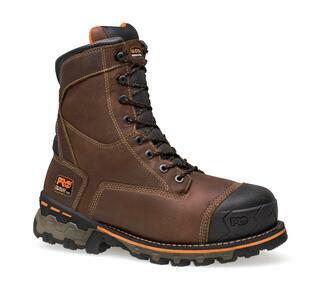 Partly because of the thickness of the leather, new safety boots can be very stiff and do require some break in over the first three weeks of use. Using mink oil or other leather conditioners are great ways to soften up the leather. It is important to wear the right socks with your boots. There are socks specifically designed for steel toe boots that have reinforced heels and toes and compression arches to provide your feet with an extra level of support. You may also want to choose anti-microbial and moisture wicking for added comfort. Choosing the right sock will reduce friction and keep you comfortable longer. Here are some final tips for getting great fitting boots! Try boots on in the afternoon when feet tend to be largest. Wear the socks you will be wearing with that footwear. Don’t assume you know your size - try on different brands and sizes to find the best fit. Try on both boots and spend some time walking backwards, forwards, and (if possible) up and down a set of stairs. Fully unlace boots before putting them on and re-lacing to create the best fit and support. If using an insole, remove factory insole first - don't stack. Now you know how to get the best-fitting boots and shoes possible! 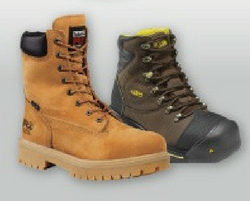 Choosing the right footwear with the right fit will keep you more comfortable and safer in the workplace. If you’d like more information or are looking to start or update your company’s boot and shoe program, download our guidebook or consult with one of our safety experts.